With our proven technology and electrical expertise, OneInterface can design, with your staff, a facility designed to support state-of-the-art consolidation, virtualization, and automation technologies of today and the future. The result is an agile infrastructure that will help your business achieve maximum alignment between IT assets and business priorities. From our Fresno, California headquarters, our design staff use the latest design and engineering modeling software to ensure installed determinism through truly engineered systems. We maintain a comprehensive networking and server lab where we model, simulate, and develop for a wide variety of systems and scenarios. This laboratory approach gives us the empirical results, to reinforce our designs, and confidently integrate complex systems into live environments and critical path construction windows. To be the industry leaders in both research and execution, of an AEC and Owner paradigm shift which recognizes the efficiencies, significance, and requirements inherent in the indivisible coupling of all building systems utilizing a single common, resilient and intelligent networked signaling transport. Over twenty years of professional power and technology specific engineering experience. Originally from the Silicon Valley, Tyler has been the lead engineer for projects ranging from aerospace and bio-tech facilities to education. He has significant expertise in the areas of telecommunications infrastructure, enterprise and building systems, internetworking, network operating systems, and application development. Tyler has successfully engineered and project managed state-of-the-art technology systems represented by over $500 million of successful construction over his career. Over twenty years of experience in the electrical construction industry. Gil received extensive training as professional electrical tradesman in field training, electrical theory, and applied codeology. With a high degree of both practical and theoretical knowledge, Gil transitioned into the engineering field as a telecommunications design professional. With a strong electrical background in Industrial, Educational, Commercial, and Residential projects have given him the ability to understand today's technology requirements for real world applications. His knowledge and understanding of the physical installation and requirements of these systems bring an unlimited value to our clients for cost effective design strategies and implementations. - Taken my vision for Delta College (which is for truly “bit is a bit” low voltage systems sharing a common infrastructure) into the real discipline of structured cable design. The standards they developed and implemented as part of our $275 million Measure L Bond Construction program have positioned Delta College for the technology of the future. - Designed or supervised the design of all network and “smart” building infrastructure for all the new building construction including: the South Campus at Mt. House Center, Student Services Building, Library Building, Data Center, and the New Science and Math Complex. This design and implementation will result in much savings to the college in future maintenance and repair of cabling systems. “Allow me to add a hearty “thanks” for your commitment & responsiveness. I really feel like you’re our partner in success. 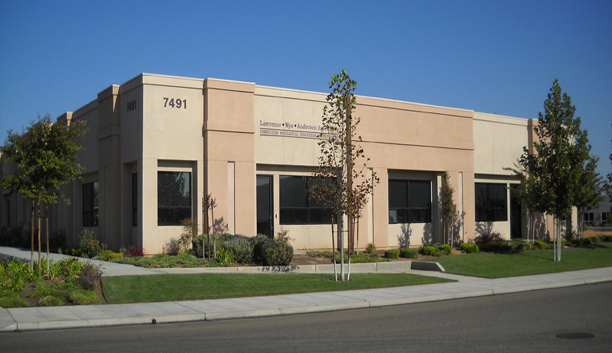 “OneInterface has successfully completed numerous telecom projects for Clovis Unified. The projects have included network systems at District facilities, LAN and MAN infrastructure, PA and Fire Alarm systems. We work closely with Architects and Owners to ensure their visions come to fruition. OneInterface provides the most technically comprehensive and thoughtful end-to-end technology design solutions available to our clients. We strive to achieve the best results for our clients and this is made possible through collaborative decision making, good communication, and extremely detailed construction documents.